The twentieth century has brought considerable political, social, and economic change for South Africa. While many would choose to focus only on the issues of race, segregation, and apartheid, this book tries to capture another facet: its drive towards modernisation and industrialisation. While considering the achievements and failures of that drive, as well as how it related to ethnic and racial policy making, Bill Freund makes the economic data come alive by highlighting people and places. 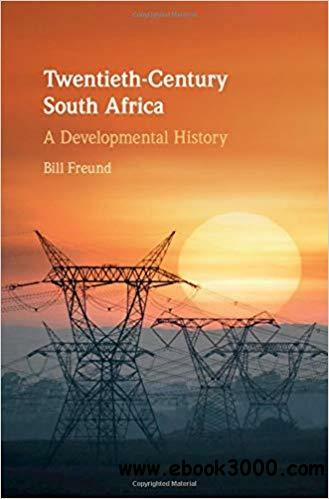 He proposes that South Africa in the twentieth century can actually be understood as a nascent developmental state, with economic development acting as a key motivating factor. As a unique history of South Africa in the twentieth century, this will appeal to anyone interested in a new interpretation of modern South African economic development or those in development studies searching for striking historical examples.